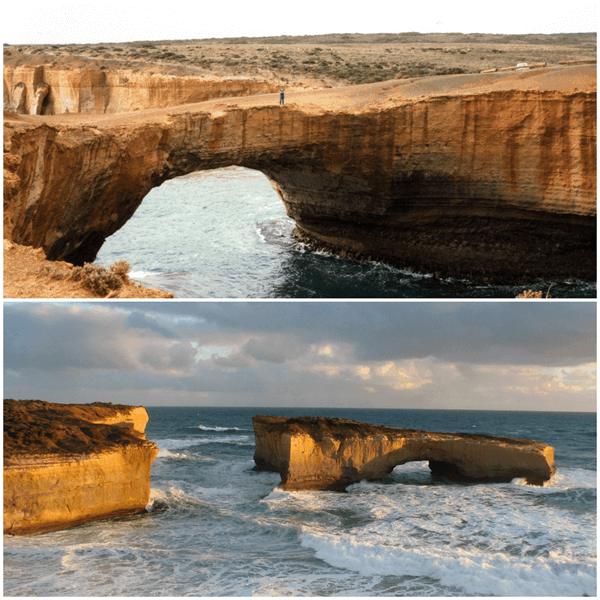 Most visitors to Victoria have heard of The Great Ocean Road and the famous 12 Apostles. 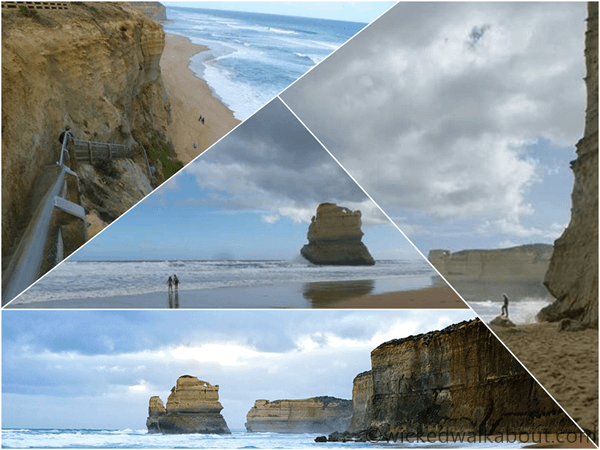 It is about 374 km’s / 232 miles from Melbourne to the 12 Apostles, via the Great Ocean Road. The return journey to Melbourne, on the inland road, is 228km / 142 miles. 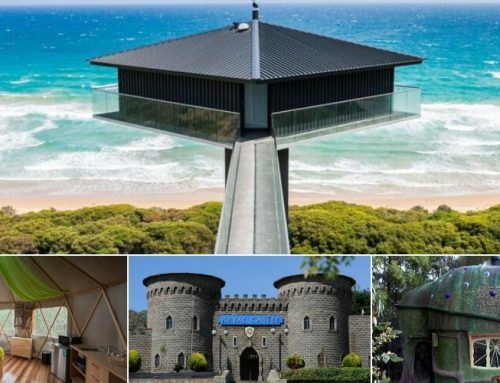 With plenty of places to stay along the famous Great Ocean Road, a few days spent would be ideal. 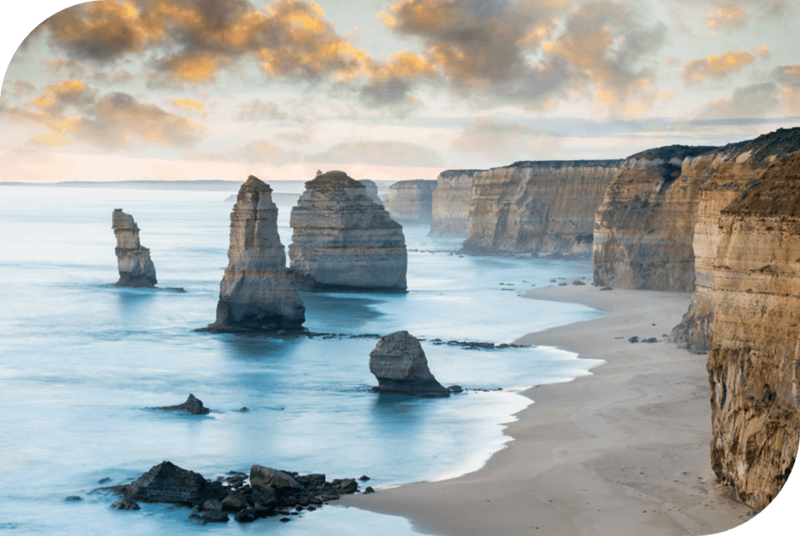 Our 3-day itinerary gives the low down on everything to see on your way to the 12 Apostles. 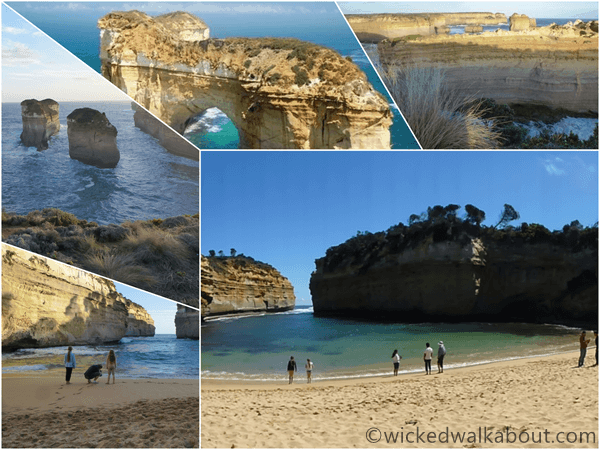 Once at the 12 Apostles, there is more to do than view the limestone rock stacks. Walk on the beach below the cliffs and explore a little. Try to allow enough time to relax in the Port Campbell National Park, before heading back to Melbourne or onwards. Early records show that the area was first referred to as the ‘sow and the piglets’. Mutton Bird Island at Loch Ard Gorge was the sow and the smaller rock stacks nearby were the piglets. The formations now, of course, are known as the 12 Apostles, they are not individually named and cannot all be seen at one time. 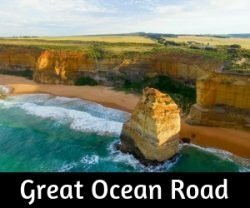 Dozens of buses and smaller tour vehicles navigate the Great Ocean Road every day, the prime viewing time at the 12 Apostles is around 2-3pm. Visitor numbers have increased massively in the past decade or so and it does get really crowded. Aim to be there as early as possible or in the evening, if you want to avoid the busiest times. Take some food and drinks with you, sit on the beach if the weather is agreeable (Gibson’s Steps or Loch Ard Gorge). Relax. 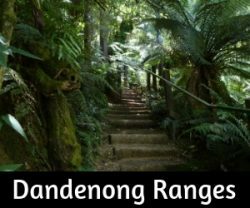 The Great Ocean Walk passes along the coast and it is possible to walk to Gibsons Steps along the cliff tops, read more about The Great Ocean Walk. It is advisable to park at the 12 Apostles car park and access the trail from there. The beaches can be treacherous in this area. Only Port Campbell beach is advised for swimming, lifeguards are on duty during the summer. A tiny wee village, not far from the12 Apostles etc. Pop in and take a stroll on the boardwalk in Princetown. It connects the town to a picnic area and fishing area near a bridge over the Gellibrand River. Kangaroos can be seen on the river flats from the viewing platform in the Princetown. 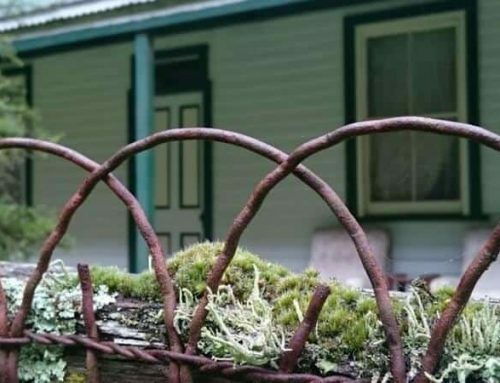 It also connects to the Great Ocean Road Walking Trail. There is a small car park at Gibson’s steps and a viewpoint looking down onto the beach that anyone can access. 86 steps lead down to Gibson’s beach, the stairs were carved into the cliff face over a century ago by Hugh Gibson, a pioneer who established the nearby Glenample homestead. Alternate parking – park at the 12 Apostles as the car park is huge, then walk the 1.2 km trail back to Gibson’s Steps. The two rock stacks visible from Gibson’s Beach are referred to as Gog and Magog. It is not safe to swim on this beach. Take note of the high tide times, the waves will reach right up to the base of the steps at times and the beach may not be passable. The ‘ Jewell in the Crown’ of the Great Ocean Road. The 12 Apostles are the main attraction in this area and beautiful to see at any time of the day. Earlier in the morning or later in the day, the crowds are less. Sunset is busy generally, sunrise not so busy, take your pick! The main car parking area is massive. Toilets are available here, the only ones in the park at this point. A short walk passes by the small kiosk and information area, and underneath the main road. Follow the walkway the whole way around, so you get to see all the views. Little Penguins – it is possible to see the Little Penguins return from the sea just after sunset from the 12 Apostles viewing platform – BUT – viewing is from way up on the platform only and they are tiny little specks as they waddle up the beach to their nesting areas. Still, I think it is worth doing on a nice evening if time permits. Helicopter Joy Flights operate over the 12 Apostles, quite expensive, but well worth it. LochArd gorge is named after the ship Loch Ard, which came to grief here in 1878 near the spot now known as Mutton Bird Island. Only 2 of the 54 passengers survived the journey from England – Tom Pierce, a 15-year-old ship’s apprentice and Eva Carmichael, a 17-year-old girl emigrating with her family from Ireland. Loch Ard Gorge will almost certainly take more time to fully explore than the other areas of the National Park, walking trails are well marked and worth doing. The Gorge itself is a fabulous spot to relax, it is possible to swim here, but can be dangerous and does not have lifeguards. Visit: Razorback Rock viewing area, the graveyard, Muttonbird Island, Thunder Cave and walk down to the beach at the far end of the area. A sweet little fishing village, Port Campbell has plenty of accommodation and cafes. The beach is the only safe one to swim on, remembering to stay between the flags and swim when it is patrolled. This is an ideal village to stay while exploring the area. From the end of the beach, a walk goes up and along the cliff top. Only accessible when the tide is low. Quite a small car park at this spot, well worth a walk down to see, though. Late afternoon sunshine often creates a beautiful glow on the rocks and the 12 Apostles can be seen way off in the distance on a clear day. Days of high seas create such a dramatic scene and it is easy to see how the rocks erode from the constant battering they receive. Yep. London Bridge fell down. Decades ago, this area had no boardwalks or fences, visitors could park right by each view point and enjoy nature at its finest. Times have changed of course and the huge numbers of visitors make it imperative to ensure safety and prevent as much foot traffic erosion as possible. 1990 was the year London Bridge collapsed, leaving 2 people stranded on the newly formed island section. A few hours later they were rescued by helicopter. 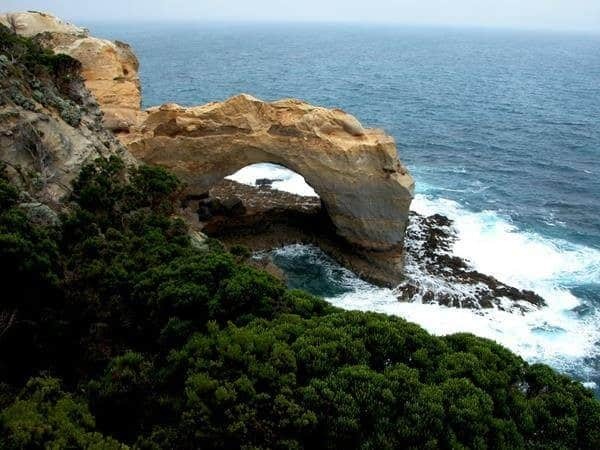 London Bridge is the only other spot with a viewpoint where Little Penguins can be seen returning from sea. Whilst the returning Penguins numbers are small, the viewing area is a little lower and closer to the action. A short walk of about 700 metres leads to the Grotto. An open cave formation that will often have beautiful reflections in the pool of water beyond it at low tide levels. 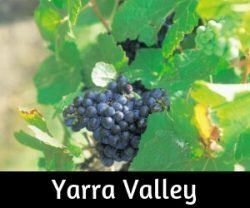 Both these areas deserve a visit, especially for people travelling on towards Warrnambool. 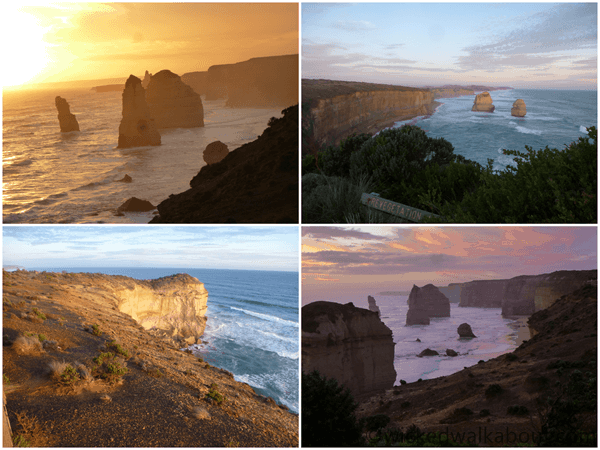 The formations and cliffs are nowhere near as high as those of the 12 Apostles, but they do have a charm of their own and are a beautiful place to be at sunset. A few days could easily be filled wandering the trails and exploring the beaches in the National Park. Port Campbell offers camping, youth hostel, B&B’s, holiday units and a motel. 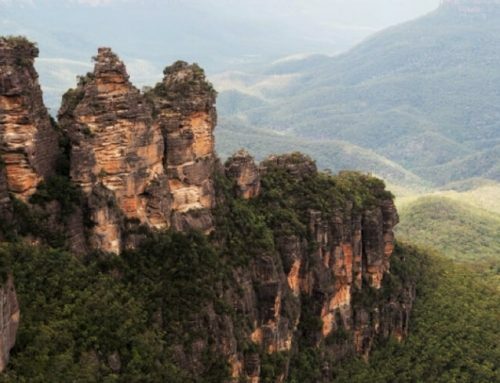 This is truly one of the most remarkable parts of Australia’s coast line, and a place I would always recommend international visitors see for themselves. We visited here in 2005 on our way across Australia from Perth to Melbourne. I will never forget Loch Ard Gorge and the Twelve Apostles. I think when we visited again in 2008, one of the rocks of the 12 apostles had fairly recently crumbled into the ocean. Great post, and I’ll be sharing this with my followers. Hi Ali, Your drive from Perth to Melbourne would have been epic! I have done it once, years ago, and would love to do the drive again soon, stopping longer in places and with time to linger. 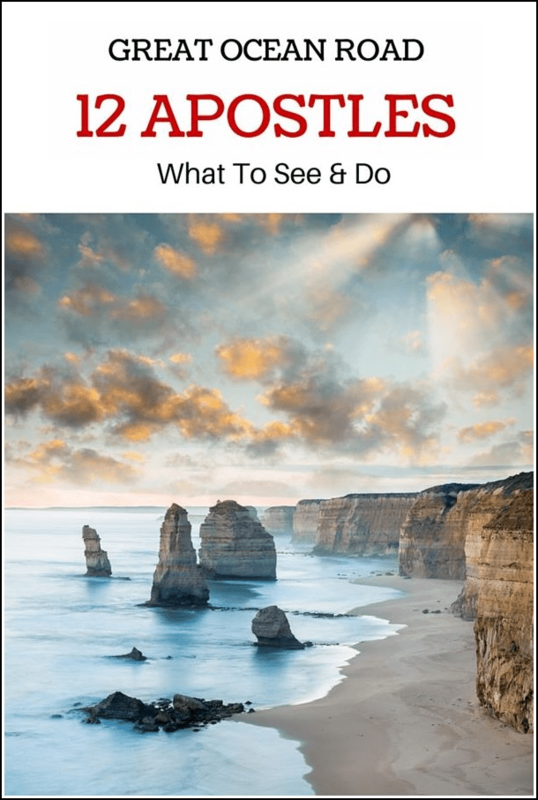 Great guide, I remember our trip down the Great Ocean Road to see these sights a few years ago, I’d love to do it again as it was a pretty rushed trip and we didn’t have time to see everything. 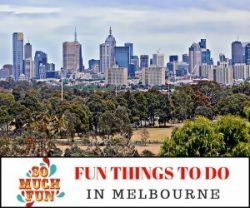 I’d love to go back to Melbourne too, I loved that city! Some wonderful geography. I know about the 12 Apostles (and it looks like a beautiful spot) but had never heard of Gibsons Steps which also looks interesting. Always love the combination of ocean and cliffs. Gibsons Beach is my favourite of all. I used to take backpackers down there, before they had the steps concreted and they were still the original steps carved into the cliff face. Add it to your list Frank.